Trying to tie room together and fill a bare wall. Any ideas? I am trying to decorate this wall above my bed and the space between the desk and drawers. 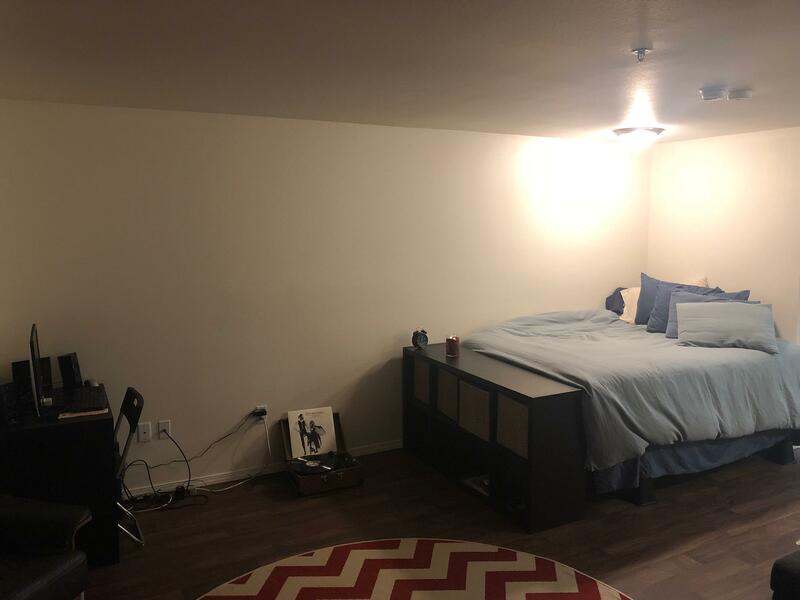 I am thinking about mounting a TV on the wall and then doing some organization items above the bed like shelves. also, I think the wall needs the color green, so I was thinking moving the record player to the corner by the couch when I add an overarching floor lamp and table and then having a row of colorful pots with cacti. Thoughts? I am hoping for a MCM/bohemian outcome, not sure if that is coming through though. Next Next post: Advice on closet door options?